John Mayer is notorious in more worlds than music. The pop star turned Big Sky Country recluse turned pop culture phenomenon has already had innumerable bits of his life hyperanalyzed, from his relationships to his ego, and he’s even got a sitting role as a contributor on HODINKEE, in addition to being the first ever episode of Talking Watches. Suffice it to say, the man is kind of everywhere. And yet, he seems to have only skirted his way around the style landscape. Sure, discussions of his more radical stylistic choices (namely those robes…we’ll get to those) have cropped up, but on the whole it hasn’t warranted the same degree of scrutiny as his other collecting. The brand much of his focus is on is a Japanese streetwear brand called visvim. The brand was founded by a designer named Hiroki Nakamura, and the crux of the brand is a fusion of traditional Japanese techniques for manufacturing and design with a very Americana kind of stylistic background. While incredibly well made and beautiful, there’s a big issue for a lot of people when it comes to the brand…price. The items on offer by the brand are expensive with a capital dollar sign, and while it’s arguable that because of the truly handmade nature of things, the brand justifies this price, it’s still difficult to justify on behalf of guys who might wanna get a sample of that John Mayer style. John’s adoration of the long, flowing visvim robe is no secret. It’s easily the thing that’s been talked about the most, and he’s even come to blame Eric Clapton for his so-called visvim addiction in discussing it further. For a lot of guys, this is where the line gets drawn. Some traditional Japanese garments can be integrated very easily, and others less so, and looking as though you’re walking around in a bathrobe is by no means the look that many would dare to try. However, if you do have the confidence and desire to get in on this style, then you won’t have to drop the couple grand that the visvim robes go for just to get the look. The clothing brand Kiriko offers a range of traditional and modern Japanese garments that are all crafted from recycled fabrics from equally traditional Japanese garments. The result is a real hybrid of the contemporary and the classic, and one that creates a very interesting wearing experience. Not to mention, at $245, the robe pictured above offers a ton of value, especially when it comes to materials used and the overall style achieved by dawning one of these before stepping out to the grocery store. Meet the Red Wing Rover, a style of boot that takes a look similar to their iconic Iron Ranger and gives it the blocky, chunky sole of the Moc. Visually, it’s nearly a dead ringer for the Folk Boots, save the lack of suede on the ankle area. Oh, they are missing one more thing - the price. 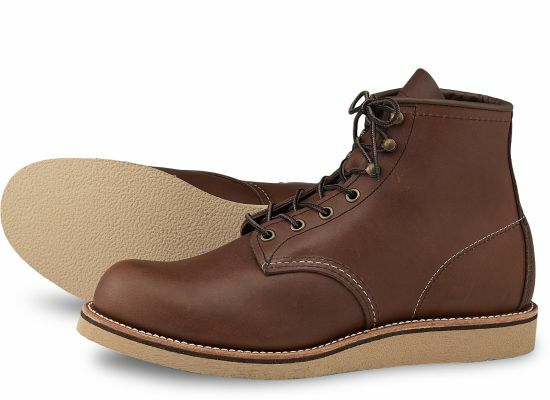 These Red Wings retail for $270, making them a tremendous value by comparison, and especially with the brand power that Red Wing has in the heritage footwear space, you won’t get any sly looks from the most serious of sartorialists. One of the things visvim is known for is their hand dyed denim using natural indigo, a far more traditional and involved method of producing jeans, and one in which each pair is completely unique to the ones around it. This is the ultimate kind of denim, known as raw denim, and has been a style trend for a few years already. However, the visvim jeans pictured above, called the Social Sculpture, retail for north of $650. I don’t know about you, but that is far from my current denim budget, so let’s dig into something a bit more palatable. DSTLD is a brand that Jon has covered before, and he turned me onto them over a year ago. I own just one pair of their jeans so far, but the wearing experience is already light years ahead of the experience you get buying $20 H&M jeans. The pair I’m recommending are the DSTLD Slim Jeans in Light Wash, which feature a slim silhouette along with the light, indigo wash that many a visvim pair also have. Plus, at $75, it’s kind of hard to beat. Now, of course, John Mayer’s wardrobe goes far deeper than just a few pairs of jeans, a big robe, and some boots, but hopefully these items help to give you a primer for how to incorporate some more visvim type clothing into your own wardrobe to tap into the hybrid style that John has been a pioneer of not just in his outfits, but in his music and life as well.